Groceries, flowers, movies and more, buy your Kroger gift card from Cards2Cash you’ll save money on your next visit. With deli & bakery, floral, produce, health & beauty, meat & seafood, natural foods, pet care, and a pharmacy, they have everything you need from a grocery store. They also offer no-contract wireless, a savings center, and many locations have fuel centers, and clothing. A Kroger gift card from Cards2Cash will make your dollar go even further, so you can buy even more of the items you love! Started in 1883, Kroger now has 2,778 locations and is one of the largest supermarket chains in the United States. There is a good reason why they were so successful. During the 1930s, they were the first grocery chain to monitor the quality of the products they carried, operating by the motto “be particular. Never sell anything you would not want yourself.” Today, you can still see the difference this has made, and when you purchase a Kroger gift card from Cards2Cash, you will save money on your entire purchase! And don’t forget, because gift cards are a form of currency, you can still use all your coupons! With Cards2Cash on your side, the savings are endless! 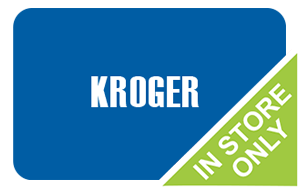 When you buy your Kroger gift card from Cards2Cash, you will get the best value for your money! But that’s not all! Cards2Cash offers gift cards for many other restaurants and retailers. Make sure you check out our listings for Meijer, Walmart, Target and more! At Cards2Cash, we work to save you money. Have a Kroger card you aren’t going to use? Turn that unwanted gift card into money! Cards2Cash pays the highest possible price for gift cards. If interested, visit one of our retail locations, and we’ll pay you money on the spot, OR fill out our easy online form, and we’ll get back to you quickly with an offer you won’t refuse. Whether you want to buy or sell a gift card, Cards2Cash has you covered!